this that Boom Bap ish!! Dope... Sounds like early Blackmoon. When hear that beat drop, you know its @KHRYSIS on the boards with the muthaf'in HEAT! 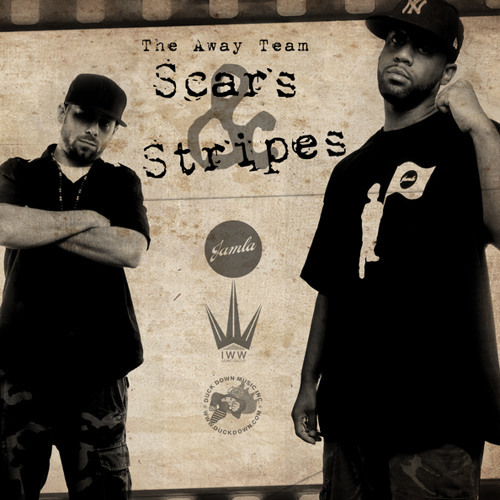 Buy The Away Team "Scars &amp; Stripes"
Users who like The Away Team "Scars &amp; Stripes"
Users who reposted The Away Team "Scars &amp; Stripes"
Playlists containing The Away Team "Scars &amp; Stripes"
More tracks like The Away Team "Scars &amp; Stripes"